Week eight of my weight loss brought some surprising results. I lost 1/2lb. Why is that surprising? I honestly thought I was going to put on weight after the week I've had so just staying the same would have been good; losing just 1/2lb is excellent for me. However, it has put on a lot of pressure to lose 1.5 stone from where I started by Christmas. I have to admit that this week was a stressful one and I eat when I'm stressed. I attempted to keep my snacking to healthy options but there were times when only chocolate would do. However, I made sure that everything was tracked so I knew how badly I did. I kept the exercise up this week and got out more with my daughter. The Pedometre Plus is great to show me how much moving around I actually do - surprisingly much more than I thought, especially with the running up and down stairs. What I Will Do Next Week? I'm a little confused how I'm on week 7 when my Weight Watchers book says week 8 - I must have missed a week somewhere. If so, I'm sorry! I'll stay on track for now. This week I lost 2.5lbs!!! While the weight loss is great, I'm more excited at the fact that I've reached my second goal - losing 5% of my initial weight. 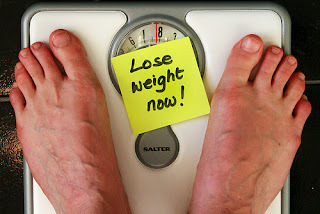 I'm going to include a post on the benefits of losing 5% of your initial weight later this week. Instead of focusing on the benefits of losing the weight, let's talk about how I managed to get there. By the way, my total weight loss is 12lbs so far! Something tells me that that isn't right. The scales on the Wii Balance Board must be out slightly but it does show that I possibly have lost weight this week. The same as I do every week - why change something that works? I always track everything and eat all my propoints. I did a little more exercise this week by getting out and about. Batteries are in the Wii Balance Board now so I can start doing stuff but I haven't really had the chance - the little one keeps me on my feet!